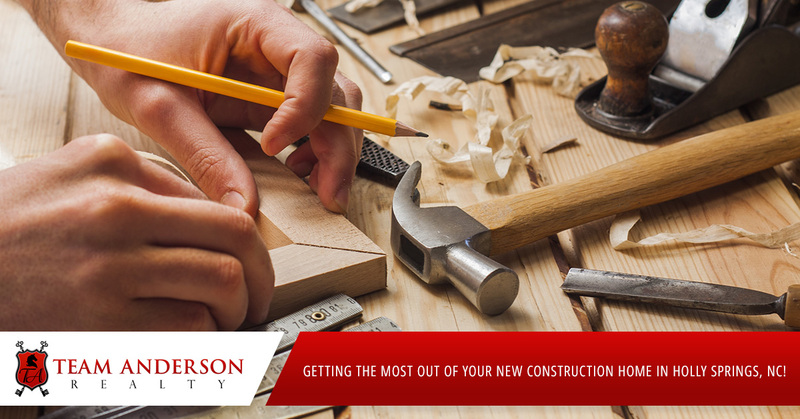 Getting The Most Out Of Your New Construction Home In Holly Springs, NC! Many buyers often think, when looking for a new construction home, they must work with the on-site agent. They do not realize most builders actually prefer buyers have their own representation. Builders generally offer compensation to the buyer’s agent so there is no additional expense to the buyer. Having your own agent can make the entire process, much smoother for the builder, the on-site agent, and most importantly, YOU, the buyer. Let them know you have an agent- If you have a buyer’s agent, make sure to have them accompany you to the new construction communities so they will be registered along with you. If you do not have a buyer’s agent and go under contract with a builder, they will likely not allow you to assign a buyer’s agent after the fact. It is important to let an onsite agent know you are interested in having buyer representation when looking at new construction homes, even if you do not have a buyer’s agent chosen. This will allow the onsite agent to make a note for your file and possibly even recommend a reputable agent. Knowing what to Pay- A buyer’s agent will be able to run a market analysis for any communities you have interest in. This information will show you the price range per square foot of homes previously sold in that neighborhood. Agents usually analyze the previous six months of data, but will occasionally go twelve months back if the number of homes showing as sold in the community or area is too low. Keep in mind basements and third floors in homes can yield up to 25% less per square foot than main living areas. Your agent will be able to break all these details down and make sure the price listed is within the range of the market analysis. Your agent will also be able to see if the builder paid any closing costs to past buyers. Sometimes builders will give a certain amount of closing costs with the use of a preferred lender or negotiate some or all with a lender of your choice (this varies from builder to builder). Smaller builders are usually more generous with seller paid closing costs and items of negotiation, such as adding sod in the back of the home, a refrigerator, washer or dryer, etc. Homes already built, called “spec homes” are typically more negotiable for the builders because these homes are costing the builders money every day they sit on the market and often, in order to start building others, they must sell a certain number of spec homes. When the buyers choose the lot, layout and finishes of the home (pre-sale), there is generally very little, if any, room for negotiation. Be prepared to pay full price and put a 3-5% deposit down for a presale. 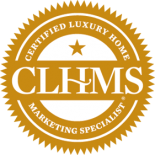 Higher end custom homes usually require 10% down and if you plan to find your own lot and build, be prepared to put 20% or more down. Spec homes are usually more flexible with the amount of deposit they request the buyer put down. Your agent will be able to advise you on this and negotiate it on your behalf. If a buyer is getting 100% financing via USDA or VA loans, builders are more likely to allow for less of a deposit, knowing the buyer is not expecting to put much, if anything, down on the home for the loan. When buyers add their own finishes to the home, the builder will increase the contract price in accordance with the levels of the finishes they choose. This can lead buyers to believe an increase in quality of finishes will increase the value of the home being built, but this is not always the case. For instance, a level one quality hardwood floor will appraise for the same amount as the more expensive level three quality hardwood floors would. This is the same case for the tile, granite and fixtures throughout the home. Your agent can advise you on the items yielding the best return on investment and remind you that making the home too expensive with quality of finishes, could lead to appraisal issues. Builders generally will not lower the price of a home simply because it does not appraise for the amount of the contract price after buyer upgrades are made. Lenders will expect the buyer to come out of pocket for the difference. Sometimes, buyers will assume because new construction is inspected throughout the building process, they will not need to have the home inspected independently. Sometimes buyers think the builder “walk through” is an inspection but it’s not. Although cosmetic items and items for repair can be found during this walk through, there are things even the best builders can and do miss. Your agent should have a good home inspector to recommend with a background in building, such as a licensed general contractor because they are the best qualified inspector for new construction. Home inspections are not required, but they can be the best money spent when purchasing a new home. Many buyers will choose to have the home inspected initially and right before the 1 year anniversary. Home inspectors inspect the roof, check all of the major systems such as electrical, HVAC and plumbing in the home as well as the foundation for any unusual settling or instability. They are essentially looking for items to be functioning as intended and do not look at cosmetic items such as paint and drywall imperfections. Often times, even when a new home looks cosmetically perfect, it may still require the HVAC to be adjusted, roof shingles repaired, electrical outlets repaired or replaced, and other miscellaneous items. Expect to spend $350-$450 for a home inspection, but this expense is relatively low for the amount of money it can save the homeowner on future repairs initially overlooked. A buyer might also want to consider having a radon inspection, final property survey, and well water inspection preformed because some builders do not routinely preform these inspections. Well water should be tested, even with new construction homes for a detailed list of inorganic and organic substance levels. Only a basic water test is required to be completed by the builders so heavy iron or mineral levels, which can cause appliances that use water (hot water heater, dish washer, washing machine, etc.) to wear out abnormally soon, are over looked. If a buyer is proactive in looking at these things and find an issue, they can ask the builder to provide a water filter/softener or purchase one themselves shortly after closing, so their appliances stay in good working order for longer. This window had a failed thermal seal. Newer, high-end wood/aluminum clad windows last about this long too. Traditional aluminum frame windows typically last 17 to 20 years. Vinyl framed windows may make it 15 years if they have standard box spacers. However most newer vinyl framed windows have a low-quality Intercept Spacer and these windows begin failing in 5 to 8 years. Sunshine is the biggest cause of window failure, which is why your south and west facing windows usually fail first. Sunshine causes both a process known as “solar pumping” and the hardening of the sealant that forms the seals of the window. The gutters in this home did not have any downspouts. Although downspouts aren’t always aesthetically pleasing, they are essential. Downspouts move the water away from the foundation. You may also ask about drainage beyond the downspouts. This home has a section of missing roofing. School districts that the potential homes are located in so that you can further research the ranking and see if there are currently any enrollment caps. Past experience with the builders you are considering. Not all builders are created equal! 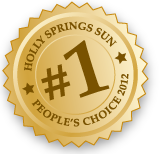 Most agents know which ones provide top notch service and those who do not. Agent Experience- Consider choosing an agent works full time. Full time agents are usually more familiar with contracts in general and are more up to date with information which could be important to buyers, like upcoming communities not yet listed on the MLS and builder incentives, which are often a monthly occurrence. Some of the new construction communities in Holly Springs (Wake County) which have actively for sale properties listed on the MLS are mentioned below. The information provided is a brief summary based on active MLS listings found on the Triangle MLS on 6/14/15. Buyers can often build out a plan and choose a building lot, not listed on the MLS. Each community will be able to let the buyer’s agent or the buyer’s know directly what is available and what can be built on which lots. Commonly, when one phase is being completed, there will be others following. In some cases, buyers will choose to be placed on a waiting list so they can be notified when future lots are released. Woodcreek: This is a pool community with a clubhouse. Available single family homes range from 2,872-3,898 square feet and are priced in the mid to upper $300,000’s to $600,000’s. 12 Oaks: This is a pool and golf community with a clubhouse. Townhomes and single family homes are available in this community. A new section being built has 1 and 1.5 story plans for buyers who want one story living. Sizes ranges from 1,995-4,968 square feet and priced in the $300,000’s-$900,000’s. Forest Springs: This is a pool community. Currently, there is nothing actively listed on the MLS. Homes currently listed in the MLS under contract are townhomes and single family homes. Sizes range from 1,550-3,130 square feet and priced in the upper $100,000’s-mid $300,000’s. Bridgewater: Currently there are is a section of townhomes being built in this community. Sizes are 1,586 square feet with two car garages and priced in the upper $100,000’s. Twisted Creek: Located in a pool community, townhomes are available with sizes ranging from 1,802-1,900 square feet with one car garages and priced in the upper $100,000’s-lower $200,000’s. Townhomes Avent Acres: This is a townhome community with pool. Sizes available are 1,623 square feet with one car garages and priced in the low $200,000’s. 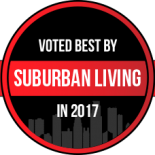 Main Street Square: Townhomes and single family homes with two car garages, located in a pool community with clubhouse. Sizes range from 2,039-2,602 square feet and priced in the mid $200,000’s-lower $300,000’s. Maple Grove: Large lot (.50+ acres) community with ranch and two story homes. Sizes range from 2,400-3,400 square feet and priced in the upper $200,000’s-$300,000’s. Wildwood: This is a pool community. Sizes range from 2,576-3,346 square feet and priced in the mid to upper $300,000’s. The Parks at Bass Lake: Single family homes from 2,791-3,314 square feet and priced in the mid $300,000’s-lower $400,000’s. Brook Manor: Located in a pool community. Single family homes from 2,702-3,312 square feet and priced in the mid $300,000’s-lower $400,000’s. Grove Park Village: Large lot (.46+ acres) community with single family homes. Sizes range from 2,745-2,929 square feet and priced in the upper $300,000’s- lower $400,000’s. Alexander Woods: Large lot (.69+ acres) community with single family homes. Sizes range from 3,080-4,392 square feet and priced in the lower to upper $400,000’s. Whitetail Farm: Large lot (.69+ acres) community with single family homes. Sizes range from 2,950-3,000 square feet and priced in the lower $400,000’s. Holly Glen: Pool community with single family homes. Sizes range from 2,976-3,308 square feet and priced in the mid to upper $400,000’s. Wescott: Located in a pool community, there is one new construction home listed at $439,690 and 3,450 square feet. Erica Anderson is a local Broker/Owner, REALTOR® of Team Anderson Realty, LLC located in Holly Springs.